Project between young people from Bizkaia and Pau (France). Organised together with EDE Fundazioa, Pistes Solidaires, Région Aquitaine, Basque Government and the Provincial Council of Bizkaia. Young people from Bizkaia and France participated. Organised together with EDE Fundazioa, Pistes Solidaires, Région Aquitaine, Basque Government and the Provincial Council of Bizkaia. Community based Entrepreneurship Action Learning Program funded by Erasmus+. The purpose of this NETWORK is to create an action learning model for formal and non-formal educational institutions to build community based entrepreneurship programs, fostering collaborations between students and youth in underprivileged communities. Developed from March 2015 to October 2016. The Community-based Entrepreneurship Action-Learning Network, aims to extract “good practices” and tools from creating learning spaces shared by communities, youth and educational institutions, which can propel community-based social entrepreneurship. Using as a pillar the successful Brazilian methodology, the Oasis Game and Elos Philosophy. Exchanging learnings, adding existing experiences and tools, to collectively build an innovative and strong curriculum to apply and spread in current and new countries. European Project funded by European Commission and developed by six organizations from four countries, (Spain, Slovakia, Portugal and Italy) during 2017 and 2018. This project aims promote the social inclusion through non formal education and leisure activities. To promote the field of educational leisure time as a space for social inclusion. To train youth leaders and young people to carry put initiatives to incorporate competencies, values, capacity and methodologies that promote social inclusion through educational leisure time. To adapt youth and education programs to new challenges and, in particular, to work with migrants and refugees. To map good practices, methodologies, and training activities to promote these processes of inclusion. Afrika Kontuan: Intercultural Project with the Afric Forum entity. Storytelling in toy libraries and leisure/scout groups. Common activitieswith different youth programs and clubs. Awareness raising on violence against women. 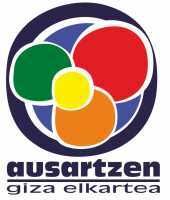 Cantera Project: Educational itinerary for youth participation in educational centres. Sare ON: Appropriate use of new technologies. Creando Futuro Project: An education pathway for youth participation; in the field of non-formal education. 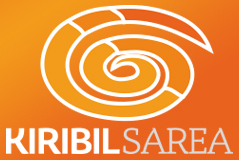 Kiribil Sarean 2.0: Social networks in education with young people. Basic notions to support erotica in adolescenceor toxic boyfriends. Resolution of conflicts with our children, and how we manage them. Educating children/daughters/grandchildren from respect and understanding. Educate daughters and sons on the basis of equality between men and women. Social networks and the education of children. OASIS Methodology: Different experiences were carried out by OASIS Bizkaia (Kiribil Sarea and EDE Fundazioa) in different places: Uribarri (Bilbao), Merkatua (Portugalete), Hernani and Herrera (Gipuzkoa). The objective: to promote and bring available resources for the prevention and promotion of healthy habits to adolescents and young people, as well as to facilitate their access through awareness and information to them and also to social workers and educators. Belfast (Northern Ireland), Edinburgh (Scotland), Berlin (Germany), Copenhagen (Denmark), Barcelona (Catalonia), Milan (Italy), Seville-Cádiz (Andalusia) and Aquitanie (France).